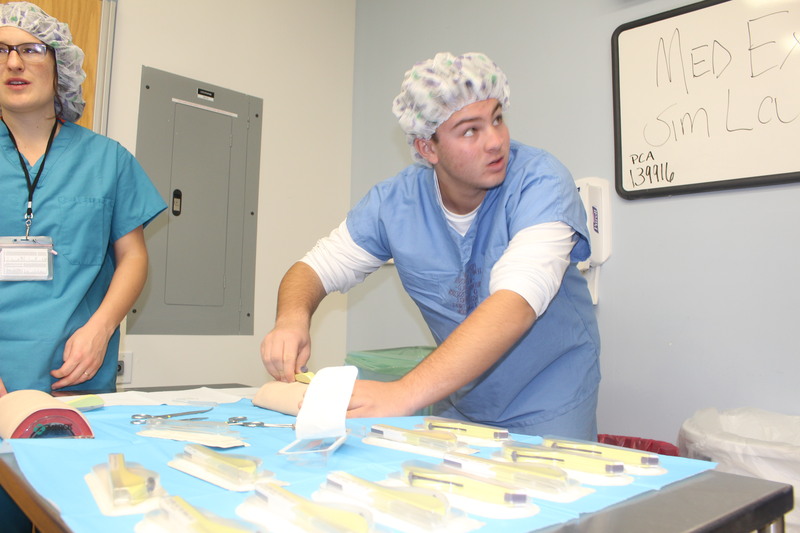 The Medical Experience, known as MedEx, at Abington Friends School was fueled by the student desire to learn more at greater depths. Three years ago, the program was created with the goal of exemplifying the immersive and experiential learning experiences offered by this leading Friends School, while maintaining a strong tie to the mission and value of a Quaker education. The curriculum and extracurricular offerings provide a multitude of options, focusing on varying interests and exploring many possible career choices. As students enter their sophomore year at AFS, they can truly immerse themselves in the real world experiences provided by the School’s Center for Experiential Learning. Under the direction of Rosanne Mistretta, the Center is taking the school’s values and academic prowess and combining them with unique opportunities for high school students. These learning experiences range from interactive field trips, to professional settings, to unique workshops. Students are able to connect with real-world mentors one-on-one, and engage with doctors and professionals in many fields of medicine. MedEx meetings, simulations and discussions revolve around topics such as medical ethics, reading x-rays, MRIs. They are also discussing and performing dissections. The students also travel together to hospitals, clinics and museums. Some students have even gone on to complete independent projects with MedEx volunteer mentors. “Through the sharing of experiences, our students are actively learning — something we value and encourage at Abington Friends. They are understanding possibilities, connecting to opportunities and making an impact on the world,” said Mistretta. More than thirty students have completed the MedEx program over the past three years and the program continues to expand and grow. Students enrolled at AFS apply for the program through a selective process and this year, applications exceeded the available slots for the small cohort of twelve students. Due to its popularity, the program has also expanded to allow for juniors to participate if they cannot fit the program into their sophomore year. The MedEx small group learning program is just one of many group learning experiences hosted by The Center for Experiential Learning. AFS students have unique and memorable experiences that contribute to the creation of a lifelong love of learning. Details about programming at the Center for Experiential Learning can be found at abingtonfriends.net/experientiallearning.